Like many Pashtun girls in the Swat valley in Pakistan, Tor Pekai attended school briefly at the age of six. Many years later, in her 30s, on Tuesday 9 October 2012, she went back to restart her education. In a terrible irony, it was also the day that her 15-year-old daughter, Malala Yousafzai, who had campaigned passionately since the age of 11 for the right of girls to have an education, was shot in the head at point-blank range by the Taliban. “Who is Malala?” the gunman had demanded of the pupils on the school bus. A year later, there cannot be many in the world who do not know. The UN reports that 57 million children were denied an education in 2011. In Malala, who began by keeping a diary of life under the Taliban for BBC Urdu and who went on to speak out fearlessly, in spite of threats and intimidation, they have a crusader who has the composure, fluency and wisdom of far more mature years, yet she also remains a fun-loving teenager of modesty, spirit, humour and charm. 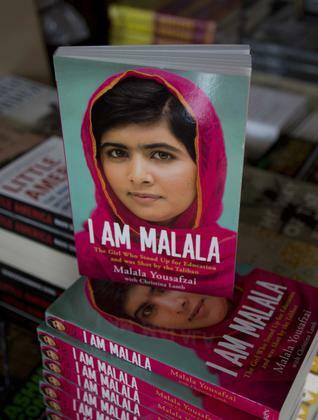 “I think they may be regretting that they shot Malala,” she said wittily of the Taliban in a recent interview, relishing that a joy in learning can prove such powerful propaganda. I Am Malala is skilfully ghosted by Christina Lamb, the highly respected foreign correspondent. The teenager’s voice is never lost. The youngest-ever nominee for the Nobel peace prize is, of course, extraordinary. However, the book also reveals that she is the daughter of a man of exceptional courage with a profound belief in the right of every child to fulfil his or her potential. In a land that esteems boys and commiserates with the family when a girl is born, Ziauddin was the exception. “Malala will be free as a bird,” he vowed. He named his daughter after Malalai of Maiwand, the Pashtun’s own Joan of Arc, who rallied Afghan men in 1880 to defeat the British, losing her own life in the process. Ziauddin, poverty stricken, fought for his own education and went on to found schools for boys and girls. He had a love marriage with Tor Pekai and continued his student activism into adult life. Then came the Taliban. Led by a school drop-out, Maulana Fazlullah, the men in black turbans wearing badges pledging “sharia law or martyrdom” banned dancing, DVDs (Ugly Betty is a Malala favourite), CDs and beauty parlours. Public whippings, executions and injustice became rife. Malala refers to a 13-year-old girl raped and imprisoned for adultery.